GitHub was founded in San Francisco in 2008 by Tom Preston-Werner, Chris Wanstrath, and PJ Hyett as a community for developing and managing open source code using Git—the independent version-control software created by Linus Torvalds. This new process removes the massive overhead and friction of previous software collaboration, and replaces it with a seamless, manageable and scalable solution that allows anyone to share or contribute to improve or expand software projects shared publicly on GitHub. GitHub customers with private accounts and repositories can leverage the same functionality across their teams, allowing software teams to develop and manage proprietary code with the service as well. 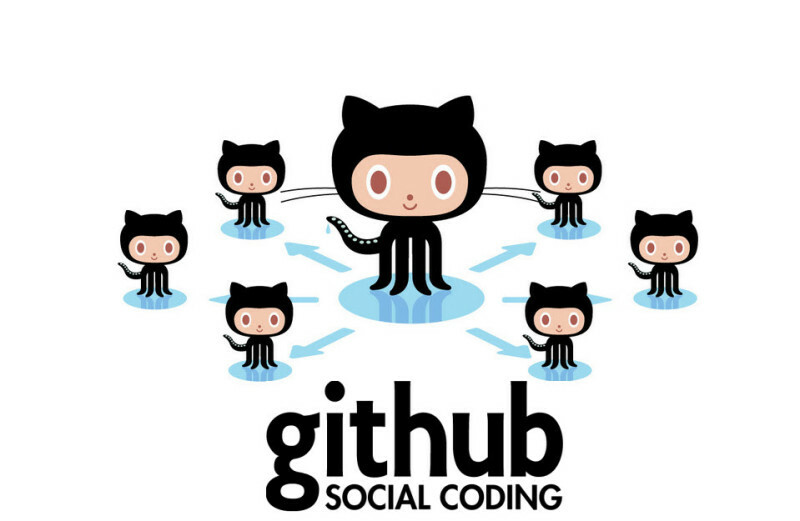 The aforementioned features and functionality are what attracted the first users to GitHub, and create a powerful reason to join and participate for other developers. This center of talented engineers and their public repositories helped to contribute to a network effect that continues to pull in new users every day. This unique aspect of GitHub is also its most powerful growth engine. GitHub is driven by both network effects and marketplace dynamics. The company benefits from two distinct and multiplicative growth drivers: network effects to pull in more people and their code, and an evergrowing code repository acts as a marketplace for people seeking out code for their projects. A massive code repository for people seeking out code elements for their projects. These two assets are the sustainable drivers of their growth. New users are pulled in through multiple channels—either via searches for code, invitations from existing GitHub users, or through collaboration on open source projects. This is a network effect at its finest, the more people on GitHub, the more projects on GitHub, the more valuable it becomes for everyone. And with GitHub now the defacto standard for many developers and companies, the greatest minds in coding are all in one place, building things together, and GitHub not only facilitates that but records it for others to see. GitHub profiles keep track of users’ contributions to projects across the site. When a user submits a pull request, that project’s manager evaluates the user’s profile much like a resume. If the patch is accepted, that’s one more accolade on that user’s profile. GitHub’s network effect is energized because each new user—whether an individual or company—has the potential to bring in many additional users. A company can decide to join and bring their whole team on, or vice versa, a single individual who loves GitHub can bring their entire team to the platform. The network effect also draws in people who want to work with the developers now on the platform. Technical marketers and other professionals are now using GitHub as a way to reach developers, by open sourcing information, books, and using the platform as a way to blog. These uses weren’t part of the original use case for GitHub, but help drive adoption and an ever growing network. In addition to the network and marketplace drivers, GitHub’s growth can be attributed in part to word of mouth. Word of mouth, as Holman explains in a talk on Word of Mouth at SuperConf2012, “means people [are] genuinely excited to share your product with their friends.” The talk begins with Holman’s assertion that adding “Tweet” and “Like” buttons isn’t word of mouth. Rather, word of mouth comes from content, thoughtfulness, solved problems, and ease of use—in short, the whole experience of a product or service. Another key driver of word of mouth is “superfans” who not only like your product, but “are your most public supporters, your most public detractors, and help you out publicly and privately.” The key to generating word of mouth, he says, is being surprising, delightful, and helpful. Luckily, without necessarily intending to, their launch in free public beta set GitHub on the path to the freemium model. Wanstrath explains that it was free for early GitHub users to create public and private repositories, and more and more people began using the site—just as Hyett and Wanstrath were—for business code. In this case, the freemium doesn’t cannibalize the paid plans, as the use cases are completely different. This avoids the common issues that plague freemium businesses where no compelling reason to upgrade exists. The desire to keep things private while using the tools provided by GitHub makes the paid plan a no brainer for companies who wish to use it. GitHub’s collaborative structure doesn’t just make working on existing open source projects easier—it makes it easier to open source new projects. Now companies and individuals can open up previously private projects to the public, where they can be improved upon by the community. It’s hard to understate the significance of this change. If a private company wanted to open source a particular project, they’d face all of the versioning and patching issues mentioned earlier. With limited time and bandwidth, most companies chose not to invest the time and resources needed to support that open source opportunity. 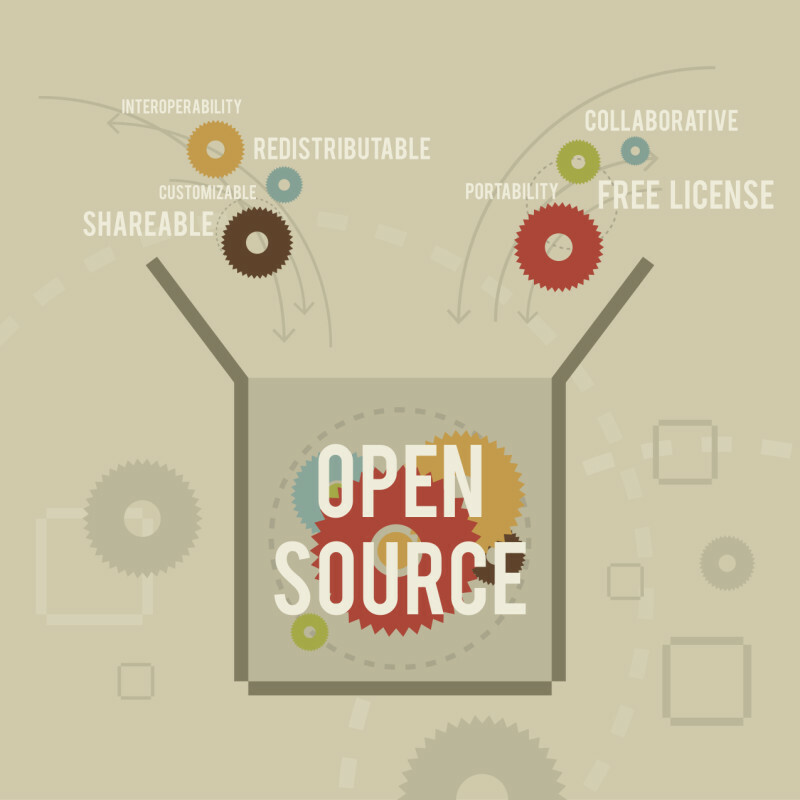 Now with GitHub, its become much easier for companies to open source code. The overhead of managing patches, versioning and hosting are all taken care of by GitHub. This new reality has led to a series of highly visible, open source projects released by companies, including Bootstrap by Twitter, and Ink by Zurb, for the community to use for free and improve upon. GitHub has created an outlet for these companies to contribute back to the community in a way that wasn’t possible before, fueling the interest and participation by private companies to the open source movement in a meaningful way. 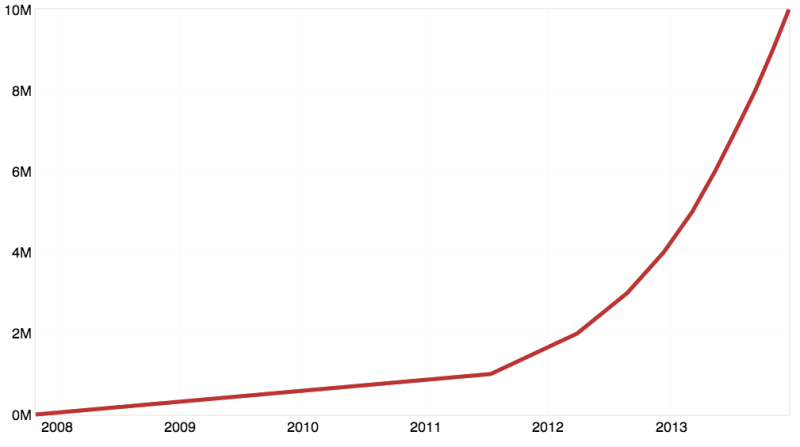 GitHub is an amazing business. The most fascinating part in my opinion is that they have a network-effects business that brings in new users and a marketplace of code snippets which attracts users in a completely different channel/use case. So they have two of the most powerful growth engines working for them simultaneously, plus they solve a serious problem in collaborative coding. It's a brilliant business with huge growth potential, that is really starting to take off. Agreed, Morgan. AngelList has the same built-in network effects (if you go to list an advisor, investor, attorney and they are not on there already, you basically register on their behalf and "force" them to sign up). A lot of great stuff here on exploiting success - but, fundamentally, Github's growth is because they're an industry standard that fills a must-have part of any engineer's workflow. You don't work without code management, and if you work with other coders you use Github. Entrenchment is growth, everything else they're doing is maximizing by degrees. Totally agree. As Tomasz Tunguz said, they've built a proprietary distribution channel. Companies that can do that, win. "10,000 new users on average every weekday"
Wow! I feel like I can't even comprehend that. interesting, I had been to the 1 million user party about 2 years ago in SF. And that party was already packed. I manage 4 projects on GitHub, simply couldn't live without it. I had no idea GitHub was such a powerful company also, it's not really marketed as such. WOM is definitely GitHub's advantage. I've gotten at least 20 new people on GitHub just because they need to sign up in order to contribute to my projects. Superb post Morgan, really appreciate it. One of the key enablers for Github, and one which the founders seem to never share was that Github received free hosting (and support) from EngineYard for the first two to three years of their life. In return Engine Yard received a substantial brand boost from hosting the coolest, fastest growing web property in the Ruby on Rails space. Eventually Engine Yard just couldn't afford to provide service to Github for free because of its growth. By the time Github switched to Rackspace, Engine Yard was giving about $10,000 in free services per month to Github. Great insight. It's amazing how these types of partnerships fuel growth, whether they're super formal, or just barter, or whatever, early on. Thanks for sharing. Wow! I feel like I can’t even comprehend that. A lot of great stuff here on exploiting success – but, fundamentally, Github’s growth is because they’re an industry standard that fills a must-have part of any engineer’s workflow. You don’t work without code management, and if you work with other coders you use Github. Entrenchment is growth, everything else they’re doing is maximizing by degrees.